UPDATED: I found that this happenes whenever I run the sudo -i nautilus command. The Unity bar is changing colour without my request. I am not changing the background (I know it automatically adjusts to your wallpaper). It is normally set to a dark orange which it gets from my wallpaper. But sometimes, it bugs out and switches to the default purple. This also messes up my conky configuration and creates a red background around the conky window (which is set to dock mode). Here you'll see the way it should look. 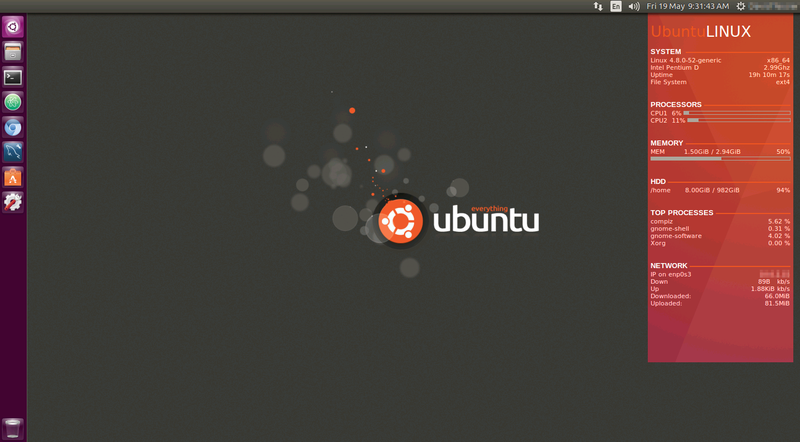 Note that the conky goes red, and the Unity bar goes purple... What can I do to troubleshoot this? You can try to set the launcher color to custom using the unity-tweak-tool. Open it, then under Unity -> Launcher -> Appearance you can set the color to Custom. Not the answer you're looking for? Browse other questions tagged unity themes wallpaper conky or ask your own question. 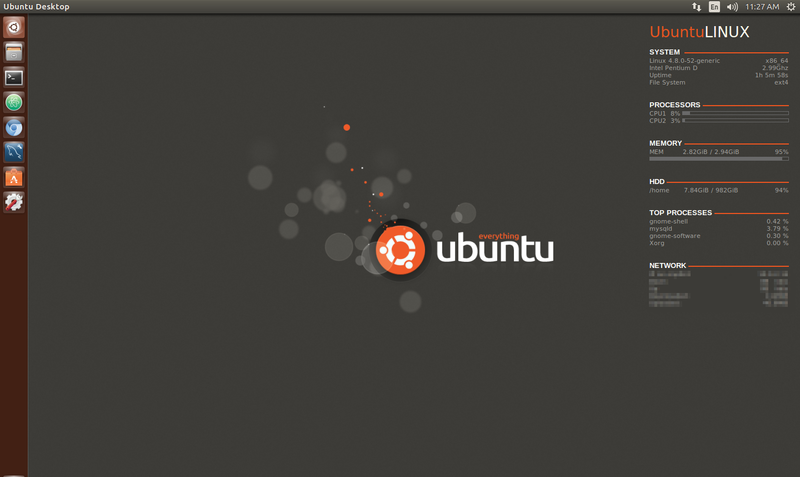 Why does Ubuntu 18.04 LTS load default wallpapers before user set wallpaper?